The Easter weekend brought a friends and family feel to this week’s Tring parkrun, with many younger runners enjoying the route. In total there were 119 runners – of whom 31 were first timers – and a number of visitors who were visiting the area for the weekend. The start saw a number of faster runners set off together, but it was Dacorum & Tring’s Matt Salt who led up the hill and for the first half of the run. However, Tring RC’s Dom Evans passed Matt to claim the title of first finisher for the first time in his 97 parkruns in a time of 19:38. It was one of Tring’s closest finishes, with Matt just 11 seconds behind and Chris Molloy in third. For the ladies, young junior Tilly Green was first over the line in 23:45. Lynda Hembury was second and was the runner with the highest age category score this week. Visiting junior (but veteran of 50 previous runs) from Chelmsford, Ella Knight of Discovery Tri, was third. There were not so many PBs this week – possibly from eating too many Easter eggs, or more likely because the damper conditions had brought the mud back. So well done for the PB improvements to Paul Knight (1min 8secs), Colin Chapman (0:19) and Caroline Nicholls (0:21). For the U15s, Conor Richardson, Sam Burnell and Thomas Dalgas were the first boys home. 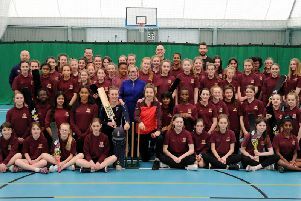 For the 1st time in 2015 there were four U11 girls in action – so well done to Victoria Gardner, Alice Knight, Emily Knight and Olivia Hurford for all doing well.